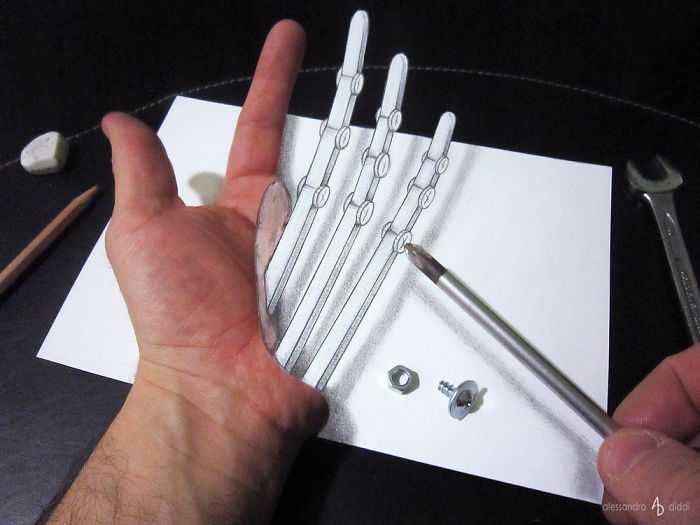 You may have seen some awesome pieces of 3D pencil drawings but what you are going to see today will surely blow your mind. An Italian artist Alessandro Diddi creates some amazing 3D pencil drawings that seem to jump out of the paper when viewed from a particular camera angle. 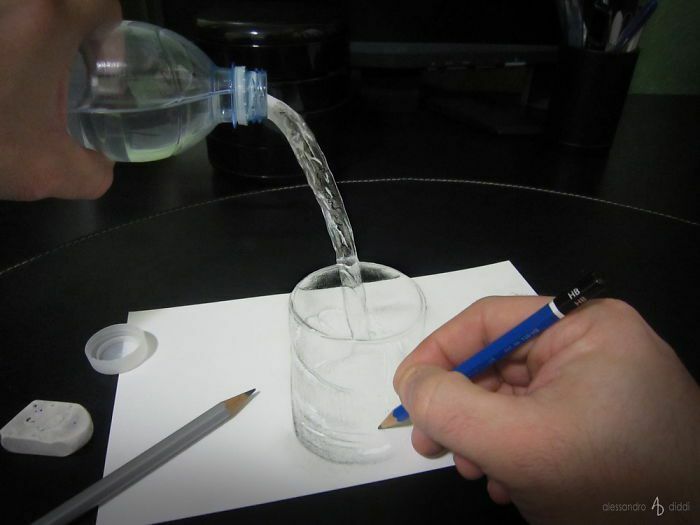 Diddi says that he wants his drawings to prove that the eye can trick the mind and make us believe that there are dimensions that don’t actually exist. 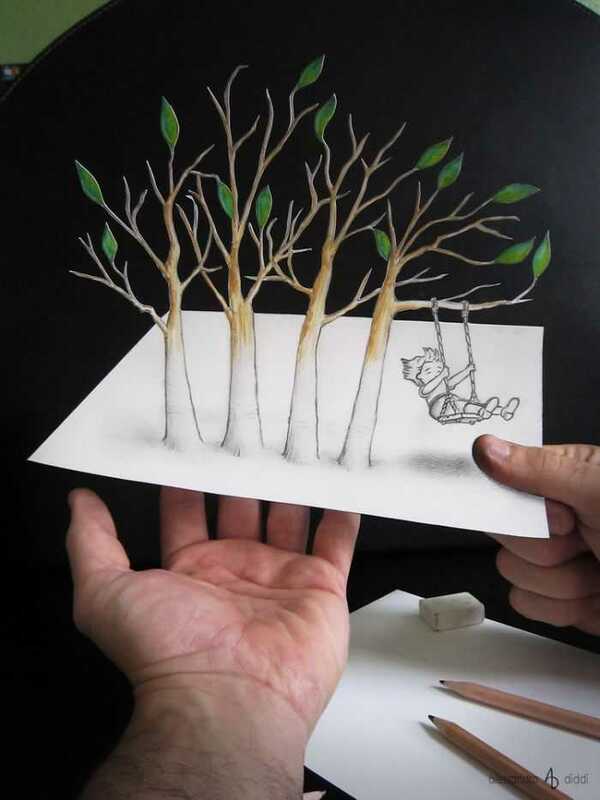 Believe us when we say that you are going to witness the best 3D pencil drawings you have ever seen. If you see his amazing work, you are going to only say ‘WOW’. 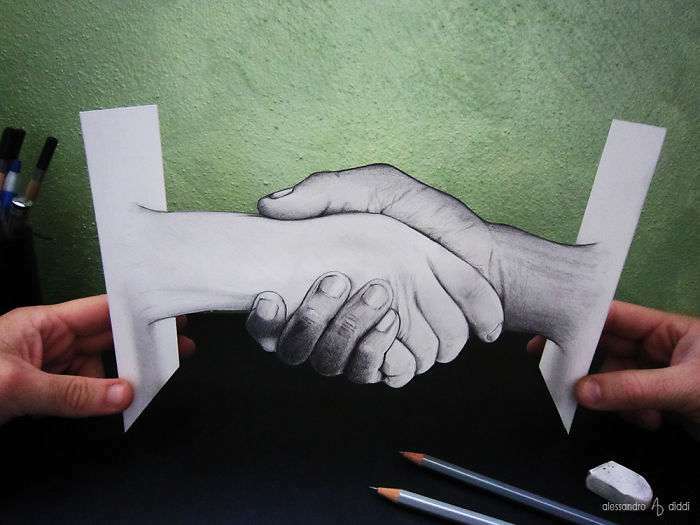 According to the artist, he needs only a pencil and a paper to show his creativity to the world. That means with minimum resources, he can create the best illusions. Have a look at some of his work. 1. Look at this masterpiece. It looks amazing, isn’t it? 2. 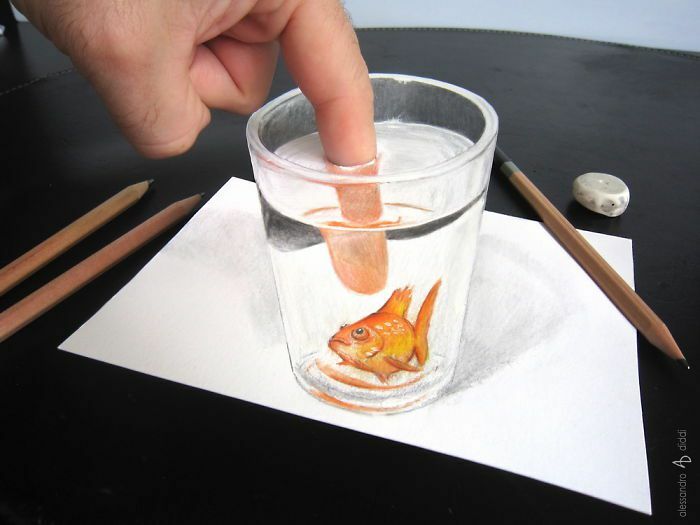 These 3D pencil drawings seem to create some mind blowing illusions. 3. Talent and Creativity can give you some of the best results. 4. 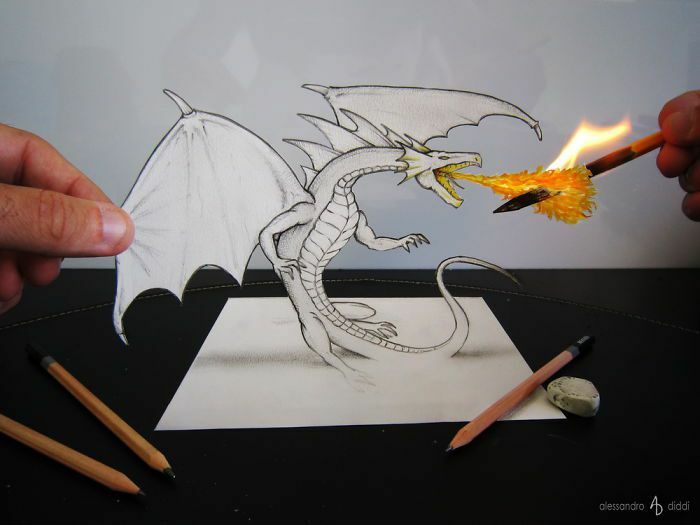 These amazing 3D drawings seem to leap off the paper. 5. Aren’t these illusions awesome and the best ones which we have seen so far? 6. This Italian artist is by far the best drawing artist we know. 7. He gives life to his drawings by making them leap off the paper. 8. 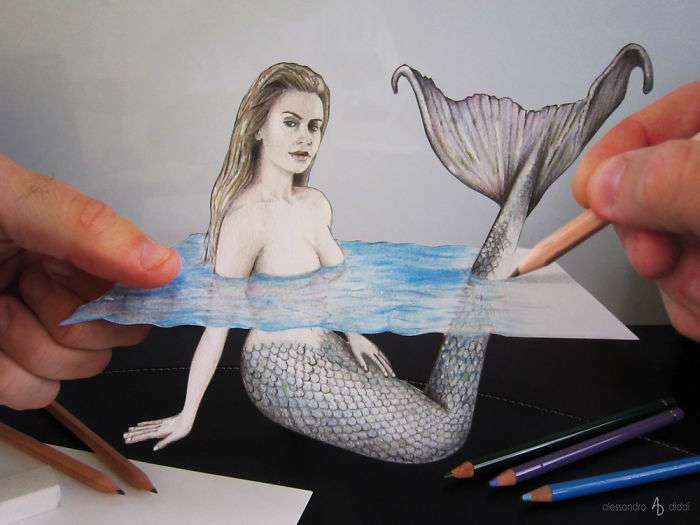 With some mind-blowing effects and camera angles, he creates some wonderful illusions. 9. 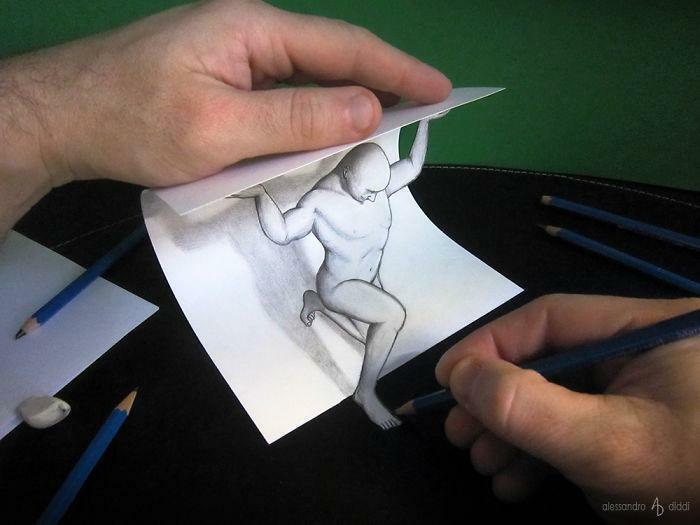 These 3D drawings trick your mind to believe the shape is in three dimensions. 10. All we can say is that Alessandro Diddi is the master of this art. 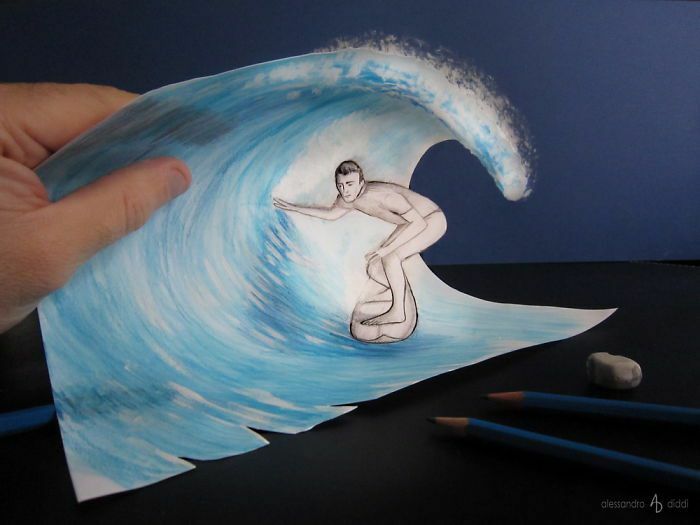 Related: 10 Unbelievable 3D Drawings That You Need To See To Believe. 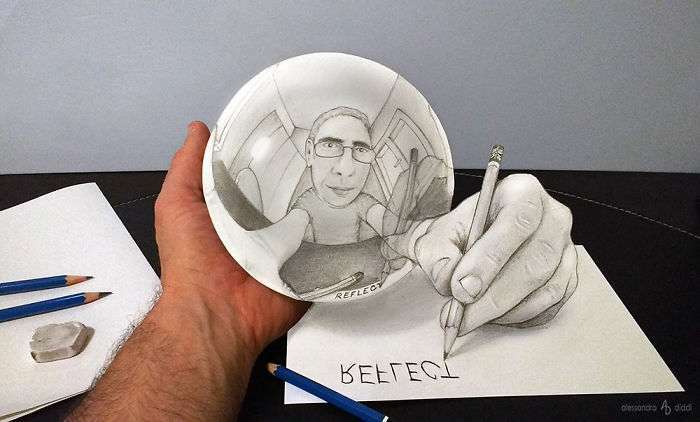 Do let us know if you liked these amazing 3D pencil drawings and if you liked Alessandro Diddi’s awesome work, then share this post with your friends and loved ones. Alessandro Diddi’s 3D paintings are amazing. I followed him on deviant art and found his work out of the world. The way he creates the illusion with his paintings is a delight to watch.